Chocolate or vanilla batter…peanut butter icing, fluffy almond buttercream… whatever your guilty pleasure is, the Sugarspun Cupcake Cling Stamp Set has you covered! A “sweetly” illustrated, substantially sized cupcake image allows you to create a decadent treat in any flavor and color combination that tempts you! Opt to top your cupcake with a cherry, add a dash of sprinkles, or adorn with glowing candles! This mouthwatering assembling of cling stamps is also ideal for creating a fun cupcake shaped card when paired with the coordinating die, and is ideal for a multitude of occasions! 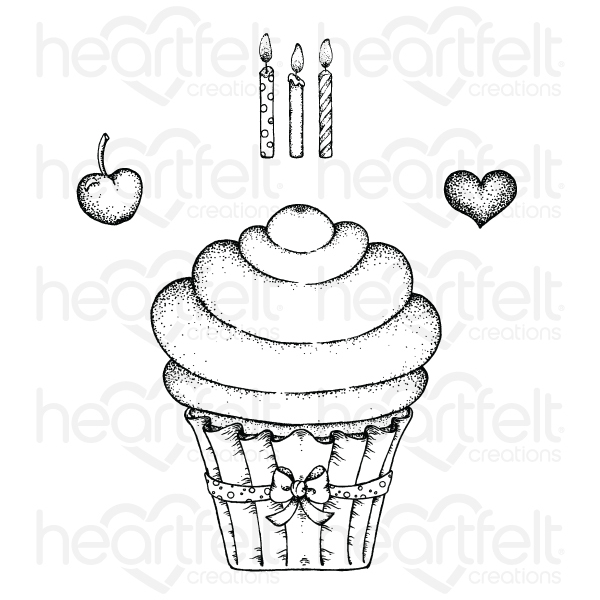 This cling stamp set is part of the Sugarspun Collection and pairs with the Sugarspun Cupcake Die.